Planning your trip to Scotland and wondering what could be the best day trips from Edinburgh for you? Here is my selection of the top 10 destinations within a day - with self-drive information and organized tour options depending on if you want to drive or not. Time to plan! For those who do not want to go on a road trip and change base every night, staying in Edinburgh is a great option. Below you will see 10 options with the self-drive information such as time on the road and best stops as well as my personal rating (but know that I love scenery above all...). If you are worried about driving in Scotland, check out my ﻿﻿a﻿﻿rticle with videos and practical info. Sadly the Isle of Skye is not one of them because it is too far away for only one day but if you have several days, head to my article about choosing your Isle of Skye tour. 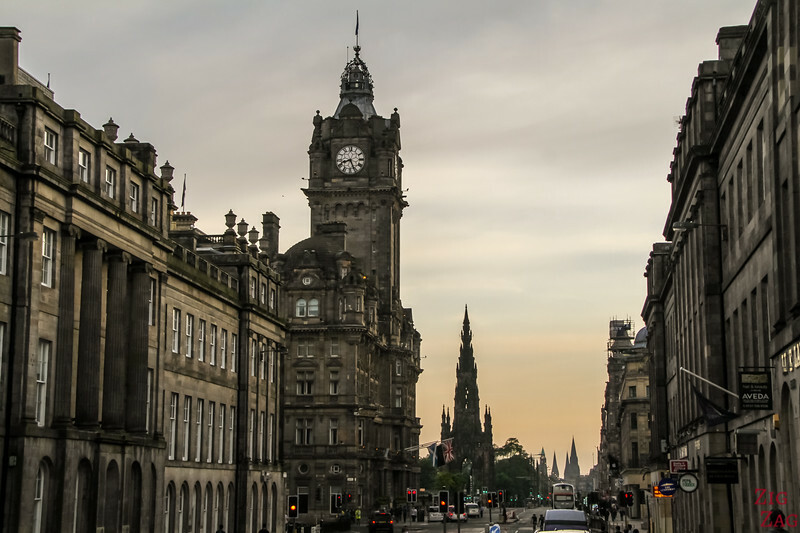 However, if you do not want to drive and (have to find parking in the city every evening), organized excursions from Edinburgh are a great options. There are so many places to visit outside of Edinburgh. When I book tours and often use Viator and GetYourGuide because I get a lot of first hand reviews from people who have really done the tour (no fake reviews like on TripAdvisor). 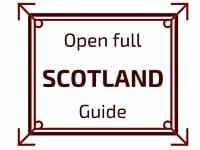 So I looked at all the day tours from Edinburgh they offer, checked the programs and the reviews in detail to pick for you options. Glencoe and the Highlands - the scenery is breathtaking! You can return via the same road with different perspective driving the other way around, you you can drive a bit longer and return via A82 along Loch Lomond. You can stay in the Glencoe town or more out of the way at Kinlochleven. This way you can enjoy some hikes in the are. Head towards the Town of Glencoe to discover some of the most beautiful scenery of the Highlands. There are many day trips from Edinburgh to the Highlands. Many drive through Glencoe. However they don't tour Loch Leven but continue on to other highlands destinations. 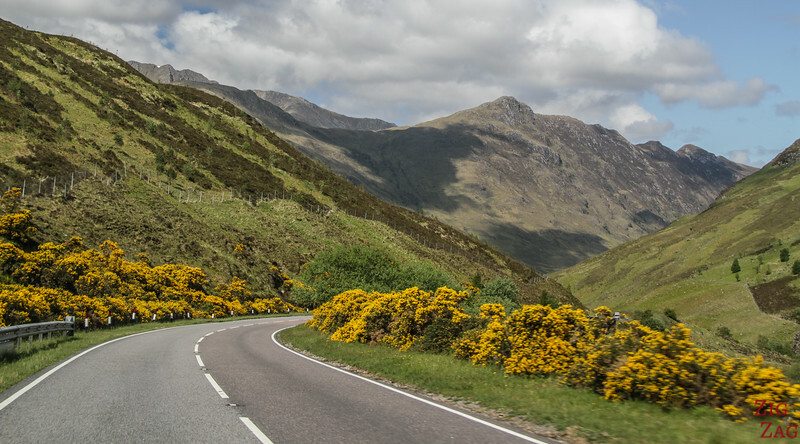 You will spend a lot of time on the road but you will see a lot of the beautiful Scottish Highland landscapes. I picked a tour clockwise for you because I think the views are better. All of them are Loch Ness Tours from Edinburgh - They combine Glencoe with the famous Loch Ness and driving through the Cairngorm National Park. The day will be long, but you will see so much beauty!!!! And will you see Nessie the monster? "Great way to see the Highlands in a short time!" "Absolutely beautiful and worth every minute and penny." On a very different style, you can head South to discover the ruins of several magnificent Abbeys which used to be very powerful in running the Scottish Borders. "A great combination of history and countryside"
"From beginning to end a wonderful tour." Explore the Fairy tale castle of Inveraray with its green wall, magical park (in the old trees area) and arms display. A similar program is offered on a small group excursion from Edinburgh to the West Highlands including a visit to the Inveraray Castle. "Beautiful trip through the West Highlands"
"Like a totally different world"
On this Edinburgh Day Trips, your can enjoy one of the most impressive Castles in Scotland and discover the weekend nature gateway of the Scottish people. Head South and enjoy the shores of Loch Lomond. If you did not cruise Loch Katrine, you can do so on Loch Lomond from the town of Tarbet. Most organized day tours from Edinburgh focus on Loch Lomond and Stirling Castle. Loch Katrine and the Falls of Falloch are not included. But they already cover a lot and you will learn a lot about Scottish history thanks to your guide. "Wonderful nature and interesting historical castle"
And don't forget to purchase Travel insurance! I wish you a very smooth trip, but my policy is: better be prepared. I personally use World Nomads. Get a quote online here. On this day tours from Edinburgh you will discover what is considered one of the best views in Scotland, admire beautiful scenery and learn more about whisky. But don't drive and drink! Stop at Crieff to discover the Famous Grouse Experience distillery. A bit touristy but the visit is quite enjoyable and accessible to Whisky novices. Once in Glasgow the easiest way to hit all the major sights in to take a hop on hop off bus. If you enjoy Golf and History then this is the perfect day trip from Edinburgh for you. Sit down and relax on this one day trip from Edinburgh - Let they guide you to St Andrews and learn more about golf history and the oldest university of Scotland. "Lots of interesting details about Scottish history"
If you are looking for a quieter day with less driving, head East to visit 2 castles of the Lothians and discover their history. Viator does not offer this experience as an organized tour from Edinburgh yet. For those who enjoy whisky the best region of the Speyside. However Aberlour is a 3h30 drive away from Edinburgh, so not really manageable in the Day tour. If you are fan of Downtown Abbey or Harry Potter or simply enjoy a beautiful castle, you can head South cross the Scottish Border and visit the Castle of Anlwick. 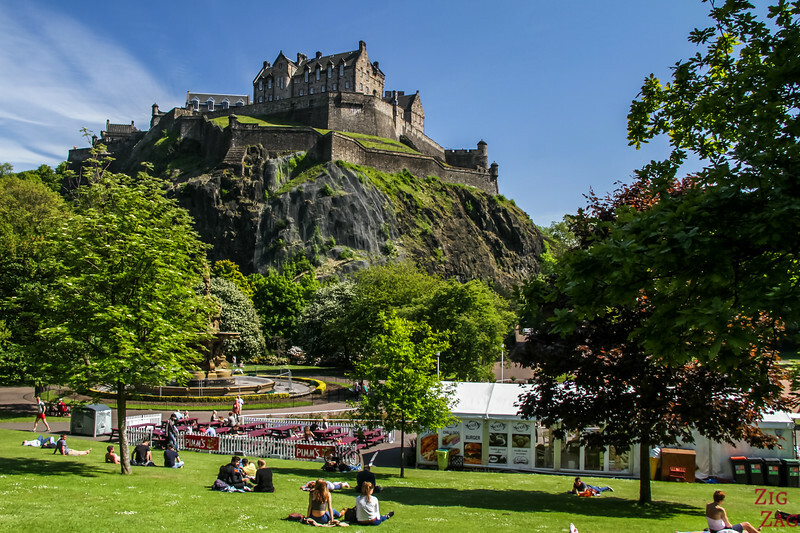 "Lots of time to explore the castle grounds"
"Stunning countryside and magnificent castle"
Before you discover all the amazing one Day Trips from Edinburgh I have picked for you, you first need to find a great base in the city. Best locations to be able to discover the city on foot is to stay in the Old Town or around Princes Street. This way you are close to everything. Which ones tempt you the most?